Street and fast food flavor leaves anyone mouthwatering and tempting for their special choice of fast food items. This craze for fast food has made street food business to be rapidly growing industry in whole over the world. 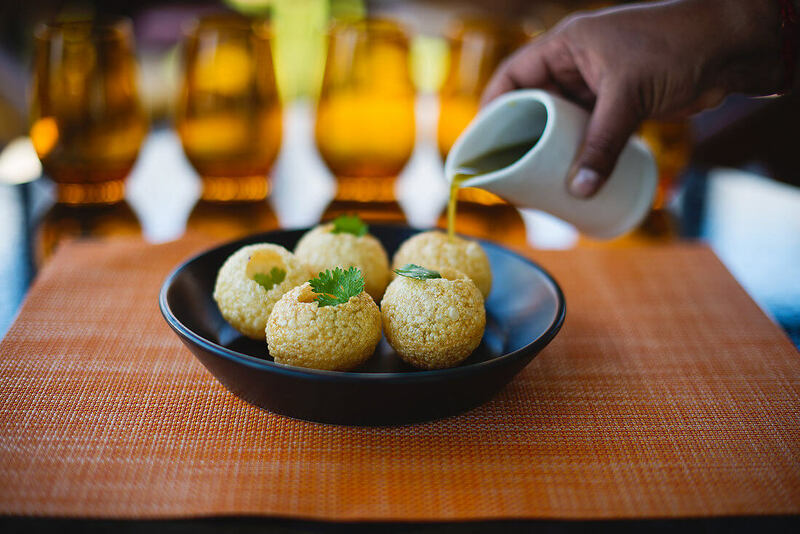 In India, popular brand like Brewbakes Café have launched Chaat Ka Chaska, a firm popularized to cater chaat, fast and street food. It has come up with its franchise program named as Chaat Ka Chaska street and fast franchise outlet opportunity in Ahmadnagar and other popular cities and town of the country. Why Chaat Ka Chaska in Ahmadnagar? Chand Biwi Palace, Meherbad, Ahmadnagar Fort, Cavalry Tank Meusum, Vishal Ganpati Mandir, Renuka Durga Goddess Mandir, Rehekuri Blackbuck Sanctuary, Siddhatek Siddhivinayak, Shirdi, Ralegan Sidhi, Pimpari Gawali, Singnapur, Harishchandragarh, Avhane Shevagon, Jamgoan, Shree Kshetra Korthan Khandoba Devastan, Shri Munjaba Temple, and various other sight-seeing in Ahmadnagar have made it an interested place for different tourists folk. Moreover, several market area, shopping complexes, malls and open area market place have been largely explored by the people. Including shopping tourists love to eat local and street food to rejoice their being in the city. There hence, if you have planned to have street and food franchise to enroll in food industry then just choose the most trustworthy brand in street food Chaat Ka Chaska street and fast food franchise outlet in Ahmadnagar. Our franchise will lead you to enjoy good profit margins without investing high cost. Also, our support and guidance will help you to be pioneer in the street food business in your city. Chat Ka Chaska street and fast food franchise always take care of their customers so that they shall satisfy their tasty buds with chaats and street food. We cater all the Indian chaat like Pizza, Garlic Bread, Manchurian, Dahi Bhalle, Stuffed Pani Pori, Bhel Pori, Chinese Samosas, Gupchups, Aloo chaat, Plain chaat, Batata Vada, Dahi Paapdi, Bhel Puri with all-time favorite like Cholee Bhature, Idli Sāmbhar, variety of Cutlets, Bullets, Fried Rice, Momos, mouth-watering Pani Pori, sizzling Pakodas, different taste of Soups like Corn and yet many more names to cover including the fast food items. Our Chaat Ka Chaska franchise in Ahmadnagar concept is to make this delicious range of chaat completely hygienic but maintaining its original mouth-watering taste. Our training session always laid impact to guide the franchise holder to keep special overhaul of hygienic values. It is because often people do not want to eat street food due to its being pollutant which can make them seriously ill. If you want to be the part of our franchise outlet with true zeal for serving food to the foodies. Thus, Chaat Ka Chaska street and fast food franchise outlet in Ahmadnagar will be best business mentor in the food business.